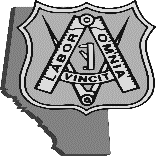 The Alberta Regional Council is the governing body for all United Brotherhood affairs in Alberta. The vision and mandate for the organization is to organize and educate construction and industrial workers, resulting in increased union market share and superior terms and conditions of employment for members. The Regional Council is currently accepting applications for a full time Representative/Organizer, based in Edmonton responsible for servicing in Edmonton and area who reports directly to the Executive Secretary Treasurer and from time to time take direction from the Directors of Organizing. This position requires a proactive, high-energy self-reliant individual who is results driven and who is capable of working with minimal supervision and is committed to the expansion of our Union. The successful candidate will possess strong interpersonal skills and be able to work effectively with diverse groups of people both union, nonunion and management. Effective written and verbal communication skills are essential. Knowledge of Alberta workplace legislation would be an asset. The position will require work in off-hours, evenings and weekends without overtime, and possession of a valid Alberta driver’s license is essential. Training during a three month probationary period will be provided prior to the successful candidate assuming full time responsibilities. Acceptance of a contract outlining remuneration and working terms is a condition of employment. Local residents will be given preference of employment if qualifications and suitability are equal. Hi Derrick, can we email our resume and credentials. Hey Colin we want paper copies just to make sure nothing gets lost in junk mail or whatever. I would like to meet with you to talk about the posting of the organizer . I have over fifteen years experience in management. I would like to give it a good try or at least sit an talk about the possibility if me being considered for this position . Hey Jeffrey, you’re going to want to email dschulte(at)albertacarpenters.com. Thanks!